Welcome to The Grimm Forest! Welcome to the Grimm Forest! Guess what! You are relatives of the Three Little Pigs we all know, and you are taking part in a building competition where you have to build a set of three houses out of Straw, Wood or Brick. The game consists of two phases. In the Gather Phase, you will go to different locations – Fields, Forest, Brickyard and Market – to gather resources that you will use for your houses. If you are alone in a location, you get all the resources, but if more than one Pig is in the same location, then you have to share what you find there. In your hand, you have the Fable Cards, which you can secretly play and increase the number of resources you can gather or ruin the other players’ building plans. In the Build Phase, you use your resources to build your houses and the first player to build three complete houses is the winner! During the game, some very interesting and quite famous friends are going to help you… Cinderella, Red Riding Hood, Snow White, Ali Baba and many more, will come out of the forest willing to lend a hand and give you some powerful abilities! 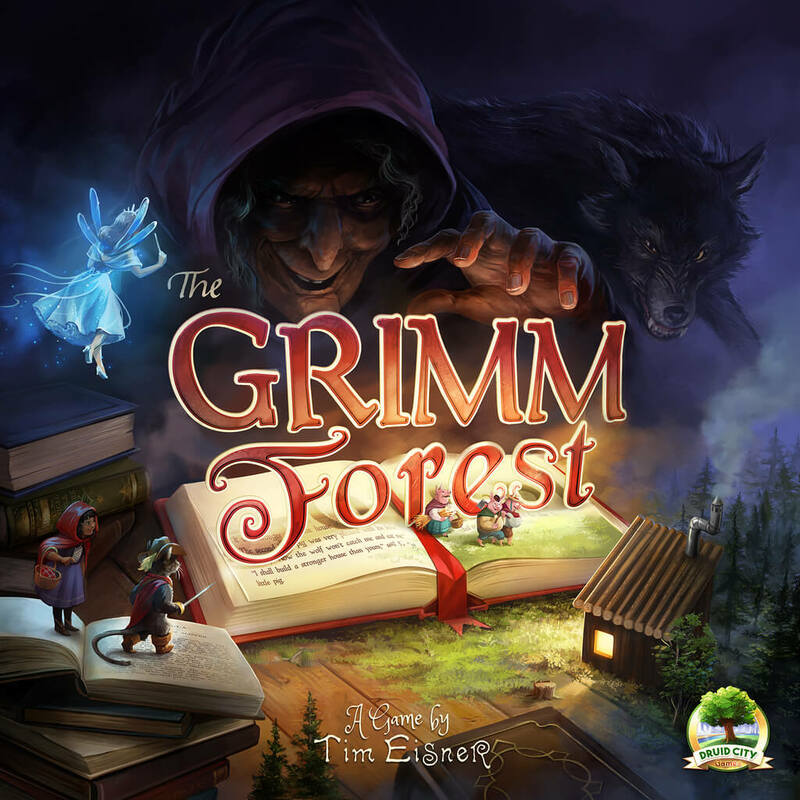 The Grimm Forest seems to be a board game that takes you into a fairy tale along with so many legendary characters that we have known since we were kids. The game has been running on Kickstarter and is way above its funding goal.